Ready or not, here year-end comes. With some organization and planning, however, it doesn’t have to be stressful. Let’s look at some critical tasks your firm should complete as part of the year-end process. First off, the most important task is to document your year-end procedures. Not only those performed in your Deltek system, but all of them so that you have a comprehensive guide to refer to on a year to year basis. You should also create a calendar and develop a year-end checklist as part of your year-end procedures. Reconcile all cash accounts - Verify all transactions have been posted into Vision/DPS to ensure your general ledger balance matches your bank statements adjusting as required. Review outstanding accounts receivable - Follow up with clients who have outstanding accounts receivable beyond 30 days. Send past due statements and give them a call. Enter the results of your collection efforts in the comments section of Deltek Vision or Deltek for Professional Services (DPS) invoice review. Year-end is an excellent time to collect your outstanding receivables. If you determine there is uncollectable accounts receivable, be sure to write those invoices off. Fixed assets – Fixed assets are larger purchases that are made throughout the year (i.e. equipment, automobiles, furniture, computers, etc.). Are all fixed assets reported on the balance sheet still owned? If not, record the sale or disposal of these fixed assets. Additionally, verify the depreciation on your fixed assets and make any necessary adjustments. Employee expenses and accounts payable - Verify that all accounts payable vouchers have been recorded in Vision or DPS. Make your 401(k), SEP IRA, and simple IRA contributions, if you have not done so. Also, try to pay all your vendors and employee expense reports by year-end. Notes payable - Verify notes payable (i.e. loans) amounts on your balance sheet match the statements from your lenders adjusting if necessary. W-9s – Order 1099 forms and make sure all W-9s from your vendors and/or contractors that are paid $600 or more throughout the year are on file. Don’t forget, 1099s should be mailed on January 31st. 1099 forms can be purchased from most office supply stores or you can order them for free from the IRS (gov). W-2s –If you run payroll in Vision or DPS, you’ll need to order W-2 forms which can be purchased from most office supply stores. W-2s should be mailed by January 31st. Budget for next year - Create your general ledger budget for 2018. As part of the year-end process, a new benefit year will need to be opened to roll over any PTO or vacation time into the next year and to start accruals for the new benefit year. There are numerous initialization utilities that need to be performed in Deltek Vision and DPS. Take note that these utilities need to be completed once per fiscal year. Vision and DPS will generate a posting log for the initialization utilities which is available in the transaction center under the posting review report. If your Vision or DPS database is set up with multi-company functionality, the initialization utilities need to run in each company. Make sure to watch this video for more information. In Vision and DPS, opening the 1st period of your fiscal year also opens the new fiscal year. Depending on your security rights, you can still process in the prior fiscal year if needed. 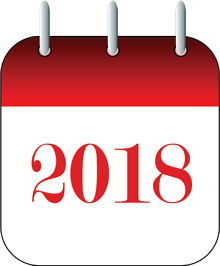 Is Your Firm Ready for 2018? Efficiently complete the tasks required for 2017 year-end, and you will be ready. If your firm is having any difficulties performing year-end tasks in Deltek Vision or DPS, Full Sail Partners can be of assistance! Also, remember to check out the new Deltek Customer Care portal for numerous resources available to you.